Writer's Digest Books, 9781599635767, 286pp. Mary Kole has worked at Chronicle Books, the Andrea Brown Literary Agency, and now spends her days as a Senior Literary Manager at Movable Type. She holds her MFA in creative writing from the University of San Francisco, which is where she cemented her love of learning and teaching the crafts of writing and storytelling. 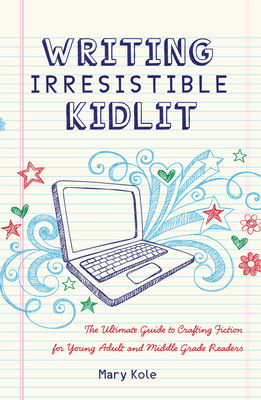 Mary blogs at Kidlit.com, named one of the "101 Best Websites for Writers" by Writer's Digest Magazine for three years running, and lives--and explores the vibrant food scene!--in Brooklyn.